If you want your bike to last for a longer time, it is crucial that you learn how to keep your bike in the right condition. With proper maintenance, you’re able to ride safe, comfortable, and enjoy the moments as you ride from one area to another. It also helps to increase the time between major services and elevates your riding experience. In the long-term, bike maintenance saves you money you could use in replacing the bike as well as time. In consideration to these, we look at the top 5 maintenance tips that your bicycle will appreciate. Bike chain lube is essential in protecting the chain from wear and tear. It also helps in making your rides smooth. 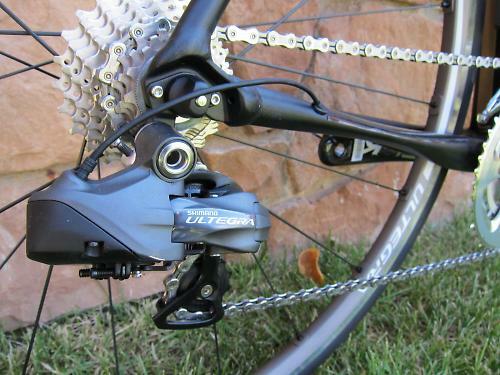 With a protected bike chain, you are capable of applying the gears smoothly and it also helps the chain last longer. You can select either to use the wet or dry lube depending on the conditions you wish to ride in. Also, most riders tend to apply a large amount of lube on the chain. This is a problem as it creates a build-up of grime. The grime is what causes deterioration along the drivetrain or any other part that the excess lube drips. We, therefore, recommend that you apply only the necessary amount of chain lube. Apply only the necessary amount of chain lube. Like any other moving machine, regular cleaning of your bike will save you some trouble. It helps increase its durability. During the wash, use a bucket of water with soap and a sponge. You can also apply degreaser on the chain to ensure that the grime and dirt don’t have a chance to eat-up parts of the bike. After washing, rinse and dry off the bike. Add a thin layer of lubricant to the gear and chain and wipe off with a dry cloth. Most importantly, such washing is necessary during the wet weather. It’ll help prolong the life of your bike, and keeps you ready for the next ride. It also saves on time and money. A clean bike is a fast bike. Keeping your bike clean and well maintained has too many benefits to list. It’ll last longer, look better, work better and feel better and faster to name a few. But, if you’re not a full time cyclist, it can feel like a drag to keep your bike sparkling clean at all times, so Simon Richardson developed a 5 minute bike cleaning routine. Before you can go out for a ride, we advise that you check out your tires. Ensure they have no cuts and are not worn out. By doing this, we ensure that there are minimal chances of experiencing a puncture. Bike tires will pick glass particles, thorns and even sharp stones that can result in a hole when you’re on a ride. And such situations can result in an accident and damage on other parts of the bike. Also, make sure that the tires get pumped according to the manufacturers’ pressure recommendations, you reduce the chances of an uncomfortable ride. If you’ve any punctures or signs of over worn tires, make sure to replace them before your ride. Before you can take a ride, make sure that your brakes can stop effectively. Take time and see how worn out they are. Efficient working brakes will save you the trouble when in danger. You can stop the bike at random and escape an accident. If your brakes are in bad condition, they will produce a screeching sound. Poor brakes ruin your wheels and therefore you’ll have to waste money and buy new wheels before you want to. Also, make sure that your gears get proper maintenance. They should shift across various gear ratios nice and smooth. The jockey wheels should move freely. Wash them on a regular basis and apply lubricant when necessary. If ignored, such parts can build up oily dirt and annoyingly squeak. Before every ride, make sure that your gears shift across various gear ratios nice and smooth. At most of the instances, riders store their bikes outdoors. We recommend that bike storage should be indoors. Remember, bikes get made of metals that are very reactive. And this is especially when the paint coating gets worn out. While outdoors, there’re a variety of reagents that will readily react with your bike metal leading to its rusting. Such elements include oxygen and water which are the leading causes of rust in your bike. Also, indoor storage makes sure that other people don’t mess around with your bike. As a result, it minimizes chances of damage to your bike. Make sure to store your bike while standing to minimize unexpected accidents such as being stepped on. In addition to the above-mentioned bike maintenance tips, consider checking on your bike saddles, bars, and stem. Make regular check-ups to ensure that the system remains tight. Also, consider regular inspections on the cables to ensure that there’re no chances of failure. Such check-ups are essential, especially during the winter seasons. In conclusion, bike riding is one of the most fantastic sports that you can use to pass your leisure time. However, to maintain an enjoyable ride, make sure that your bike receives proper maintenance at all times.